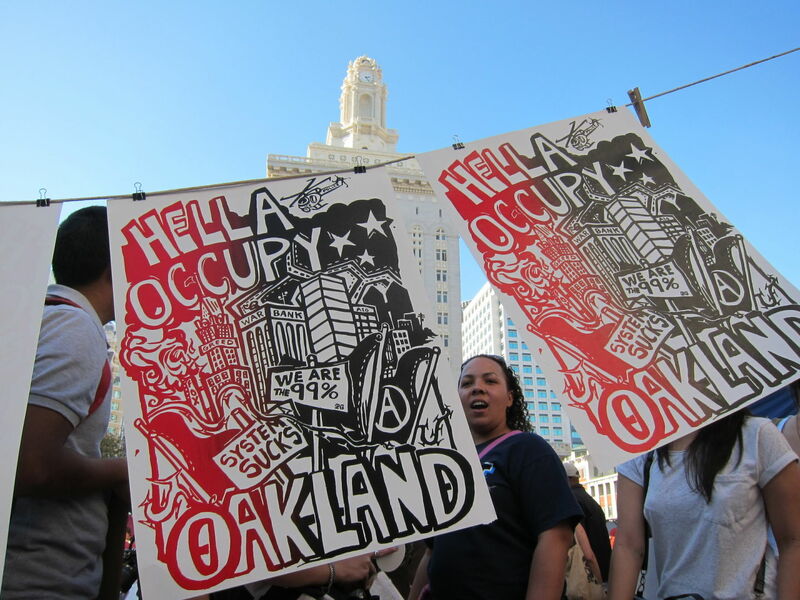 How is it that “hella” became synonymous with the Bay? Ventura's question was inspired by his college days at UC Davis. "L.A. folks would [home] in on it right away and be like, 'Oh you're from the Bay Area?' " he says. "I never really thought of it, I just thought everyone said hella." Mary Bucholtz, a linguist at the University of California, Santa Barbara, conducted a study in which people indicated their perceptions of how people talk in certain areas of California. Hella – very, really, extremely; many, a lot; in an extraordinary or impressive manner. "This party tonight’s gonna be off the chain!" "Ugh, this umbrella is hella janky." Baller (n)/ballin’ (v) – a ball player, or someone who’s winning "the game" (of life). 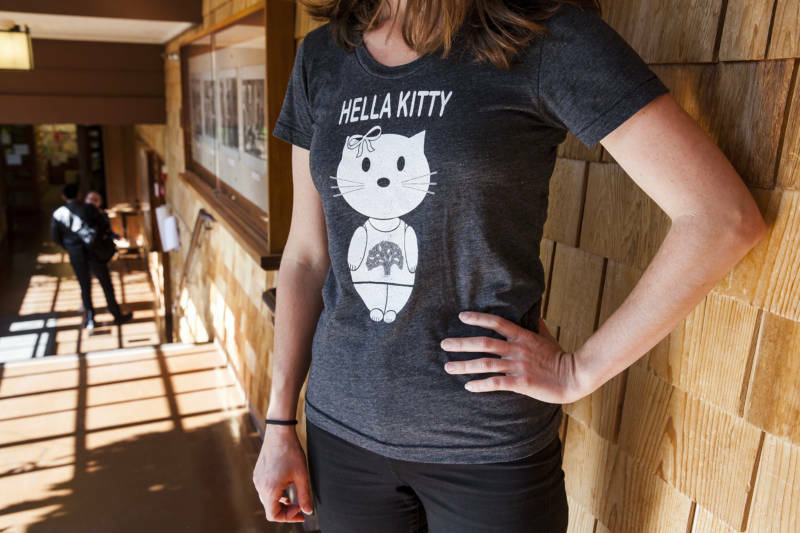 Hella was the most frequently cited word, and 78.4 percent of the people who mentioned it in the study said it was Northern California slang. “For Southern Californians in particular, hella represents a crucial shibboleth separating the two major regions of the state,” says Bucholtz. That's true for Southern California transplant Bree DeRobbio, now living in San Jose. She remembers the first time she heard someone say hella. “My reaction was 'Oh my God, they really do say it.' And I was amazed at all the different applications the word has,” she says. There are at least two origin stories for hella: One places it in Toronto (yes, Canada) and the other in Oakland. More on Oakland later, but first -- Toronto? I mean, really? 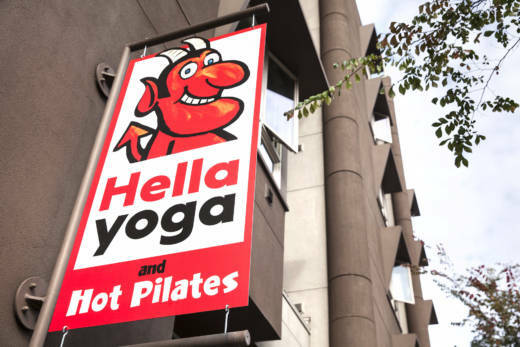 In fact, hella is identified as Northern American slang that was probably shortened from "helluva" or "hellacious." But English-language historian Michael Adams says hella’s grammatical usage doesn’t quite align with what the Oxford English Dictionary says. “I’m really skeptical of that etymology that hella comes from helluva because we don’t use hella grammatically in the same way that we would use helluva,” Adams says. What Adams means is you can’t get "hella cute" from "helluva cute," or say, "My dad’s a hella cook," even though you could say, "My dad’s a helluva cook." He also has an explanation for why hella didn’t come from hellacious. “The suffix from hellacious is '—acious,' like tenacious, and if you’re going to break a word, you’re usually going to break a word where there’s a boundary between its parts,” Adams says. According to this theory, the natural break for hellacious would make it "hell-aysh," not hella. UC Berkeley linguist Geoff Nunberg traces hella back a few more years, to Oakland, from two early citations in a 1987 dissertation of a Berkeley student. “Hella emerged somewhere in Northern California around the late 1970s, and although it spread to other places, it’s still associated with this region,” says Nunberg. Historically, slang spreads from black English to white English and not in the other direction, which is why Nunberg says he suspects it started in Oakland. Phrases like "cool" and "tell it like it is" are good examples. “ 'Cool' was adopted by white hipsters and beatniks in the early ‘50s before spreading to teen slang. 'Tell it like it is' was used by black writers in the early ’60s and quickly became part of general white English,” he says. That lines up with what multimedia producer Sean Kennedy, an Oakland native, recalls. He remembers saying hella with the kids on his Pop Warner football team and at King Estates Junior High School in the late ’70s. “Very rarely in the African-American or black community do we pick up other people’s language and use them," he says. "It’s usually the language we create and other people use them." At that time, hip-hop and street culture gained widespread popularity. “It was used in a manner of explaining, 'That looked hella good— that looked good'—something that was clean, or somebody acting crazy, 'You’re hella crazy,' ” Kennedy says. 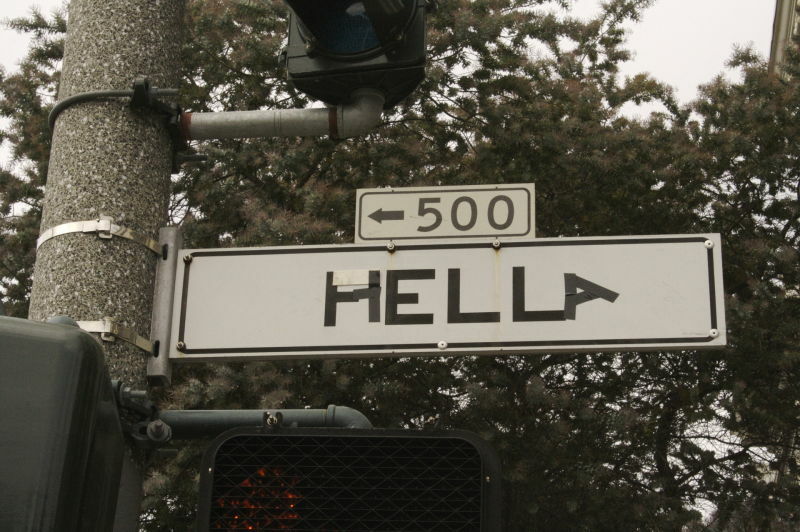 In early years, Bay Area youth debated whether the slang word was hella or actually "hell of." In Berkeley, the debate could get quite heated, says punk rocker Frank Portman. In 1997, he wrote a song called “Hell of Dumb,” poking fun at the issue with his band the Mr. T. Experience. He thinks the hella vs. hell of debate goes back to 1983. “It was always very clear that it was hell of. It was not hella and if anyone ever said hella, which sometimes people did, they would always correct you with the attitude of a school marm correcting your grammar," Portman says. Since those early days, widespread use of hell of, hellacious and helluva has dwindled -- leaving hella to stand alone. Hella got a national audience in the South Park episode "Spookyfish," from the second season. The word may be one of Northern California's most notorious cultural exports. Got a question you want to see the Bay Curious team take on? Submit it! Be sure to subscribe on iTunes, Google Play or NPR One.